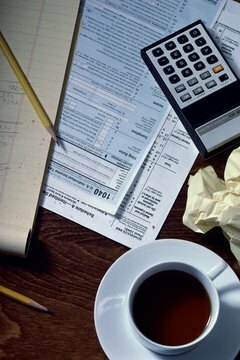 There are a few advantages to filing taxes separately, but there are many disadvantages as well. 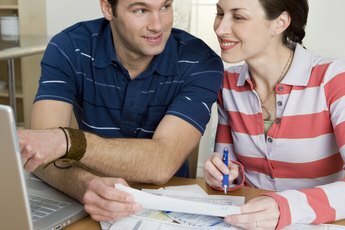 Married couples can file their taxes separately, but doing so will have consequences. Most couples file jointly, and for most people there are numerous tax advantages to filing jointly. You need to carefully assess your personal situation before deciding how to file. Calculate your taxes both ways and see which one results in the lowest taxes for you. When one spouse earns a lot more than the other, filing jointly combines the two incomes and averages them out. 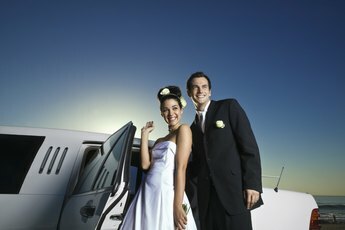 This creates a situation sometimes known as the “marriage penalty.” If one spouse makes a lot less money, as a single filer the lower earner could be subject to a lower tax rate. Once married, both spouses are subject to different Married Filing Separately ax rates, which are higher than single rates. Though it is possible to file separately, you cannot sidestep the higher married rates by filing MFS. If at least one spouse has significant itemized deductions subject to adjusted gross income limits, filing separately might make sense. These deductions include medical expenses that exceed 7.5 percent of adjusted gross income, uninsured personal-casualty losses that exceed 10 percent and miscellaneous itemized expenses that exceed 2 percent of AGI. Since an individual will have a lower AGI than a married couple together, filing MFS could be advantageous. If you live in a community property state, you can file MFS. You must, however, still split everything you itemize 50/50, and you are unlikely to be able to take advantage of any MFS savings. The community property states are Arizona, California, Idaho, Louisiana, New Mexico, Nevada, Texas, Washington and Wisconsin. When filing jointly, both spouses are jointly liable for axes owed. If one spouse owes child support, the IRS may seize a joint tax refund to settle any outstanding payments, so the other spouse may benefit by filing separately. Likewise, if one spouse owes money to the IRS or has been audited, filing separately might be advantageous. Filing MFS disqualifies you from many tax breaks. For example, you will not be allowed to claim the child and dependent-care tax credit, or will only be able to claim a reduced amoun). The deduction for college tuition and the write-off of college loan interest are also eliminated. You also cannot take the earned income tax credit or the adoption credit. Married couples who live together during any part of the year cannot deduct real estate losses against ordinary income, but if you do not live together and file MFS, you may each still claim a $12,500 loss. Filing MFS complicates the ability to deduct traditional IRA contributions and to contribute to a Roth IRA. Someone filing MFS can only contribute to a Roth IRA with a modified AGI of under $10,000. You read that right. The MFS income cap to be eligible for a Roth IRA is just $10,000 per year, because you can’t fool the IRS and attempt to avoid the income cap by filing separately. Motley Fool: Married, Filing Separate – Is It for You? 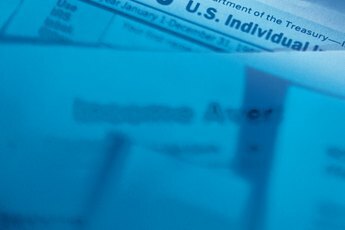 When to Use Joint or Individual Tax Return? Is It Crucial to File a Joint Tax Return After Marriage? Can I Claim Head of Household on Federal Taxes if My Wife Didn't Work?